At last, a long overdue update to the blog! Despite what it looks like, I have actually been working all this time, it’s just the real life intruded for awhile and the blog got pushed aside. But I’m back now! 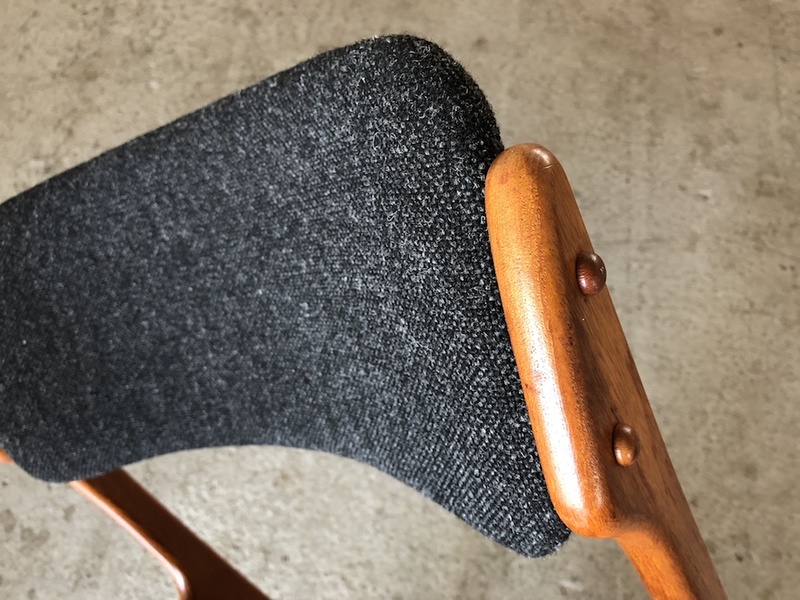 I just finished this set of six Erik Buch dining chairs in one of my favorite fabrics, Maharam/Kvadrat’s Hallingdal in the 180 colorway, a very dark charcoal gray. All the photos here are deliberately overexposed a bit so that the details are visible. The actual fabric color is darker (swatch below). Hallingdal was designed by Nanna Ditzel of Denmark in 1965 and has been in production ever since. 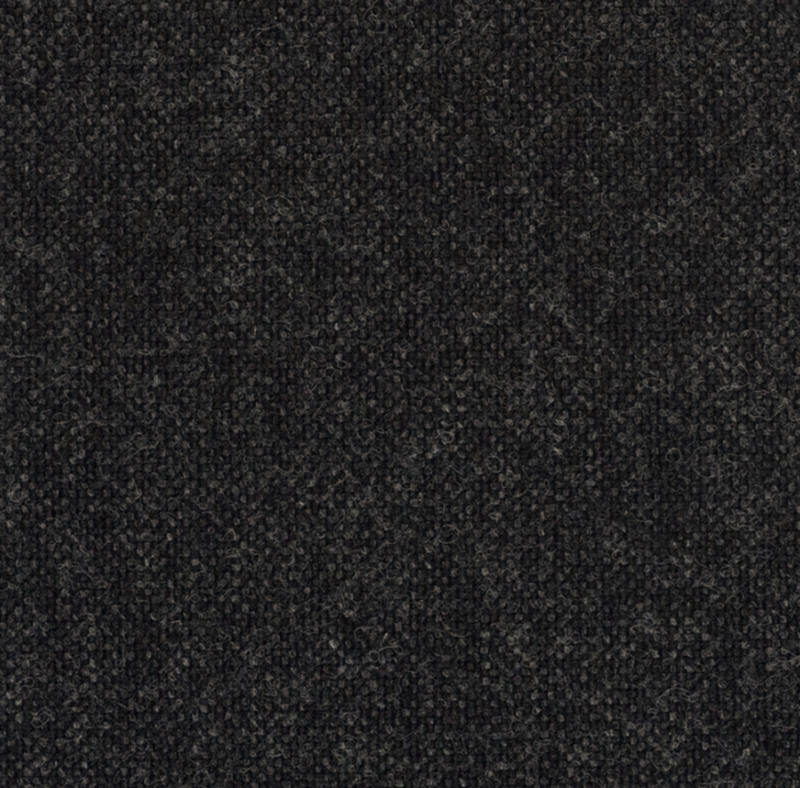 It’s 70% wool, 30% nylon for durability, and comes in 57 other gorgeous colors besides this charcoal gray. The original seats had the usual beige wool that was used many Buch chairs. It was very, very dirty. When the fabric is this bad, you can pretty much count on the foam being dirty, too. 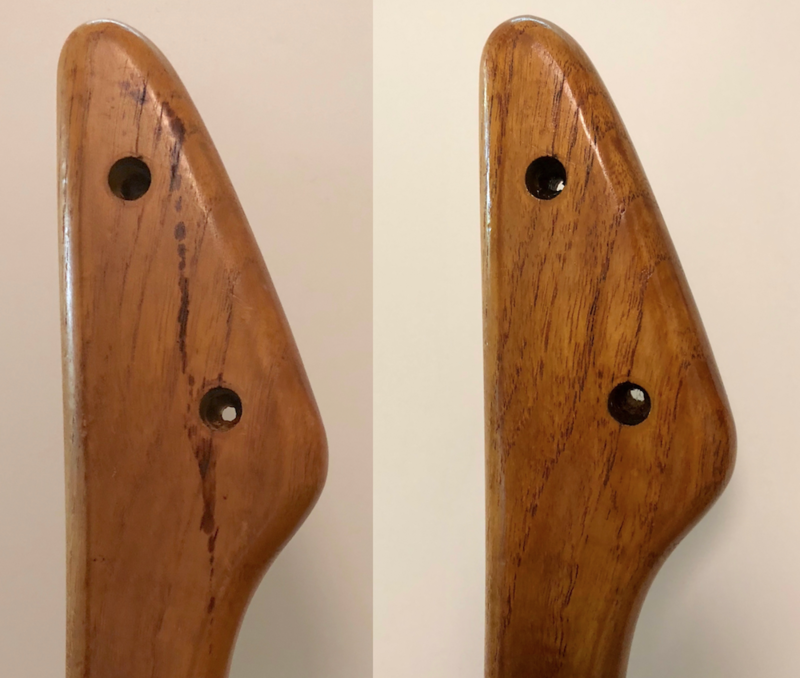 The frames were in pretty good shape except for a few large, dark mystery stains. This one was on the outside surface of the top of one of the leg posts. Fortunately I was able to get it out! These chairs have always been my favorites for comfort. 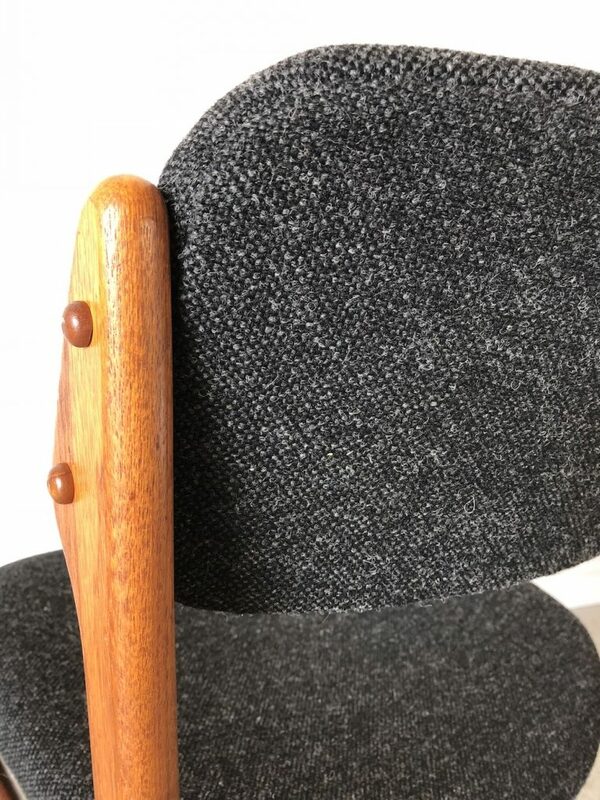 The secret seems to be in the shape and angle of the backrest. 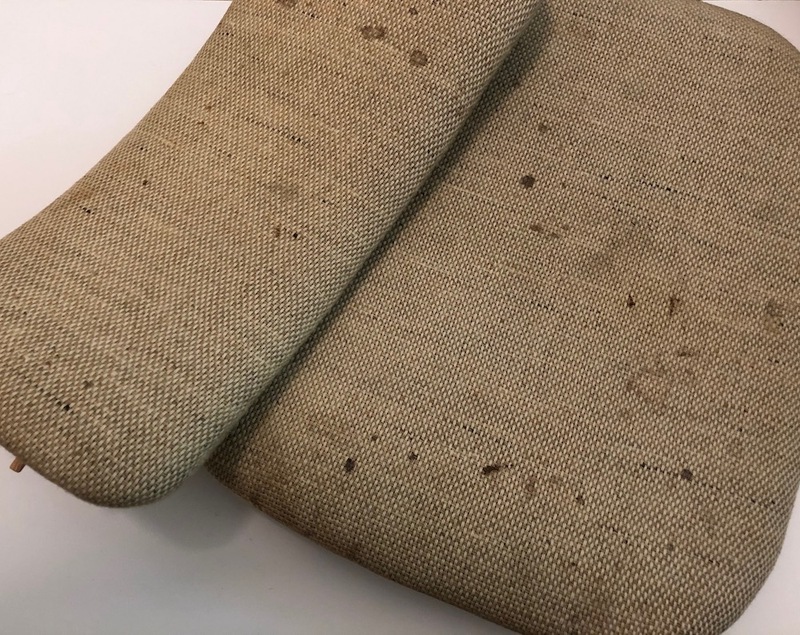 Hallingdal is a very sturdy fabric that will last for decades with reasonable use. It also goes around curves beautifully and is easy to work with. I quit doing upholstery for a few years and just did paper cord seats instead, but recently got a new air compressor that is very quiet. Now I can do small upholstery projects like seats and backs of dining chairs, small ottomans, etc. (no lounge chairs, no sofas). 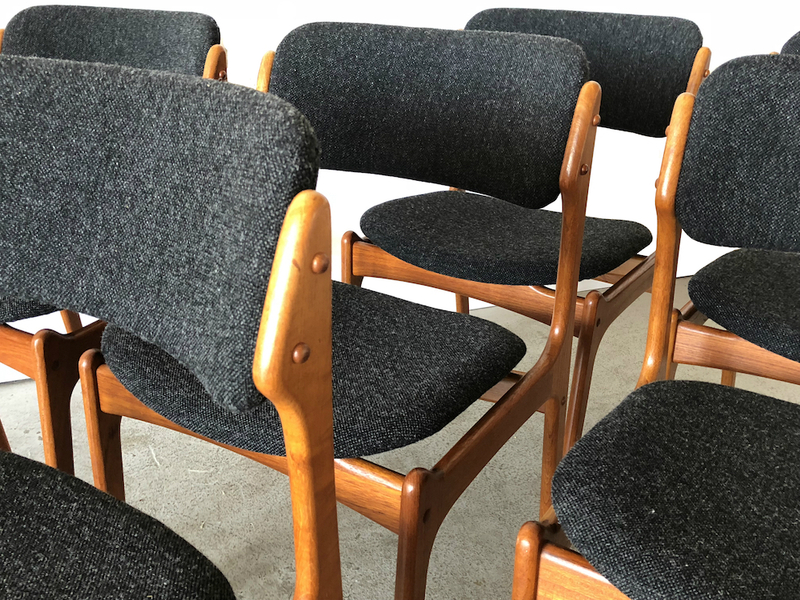 If you want a quote on a project and are in the Baltimore/DC area and able to drop it off and pick it up, send me photos at info@modernchairrestoration.com and I’ll get back to you within a day or two. 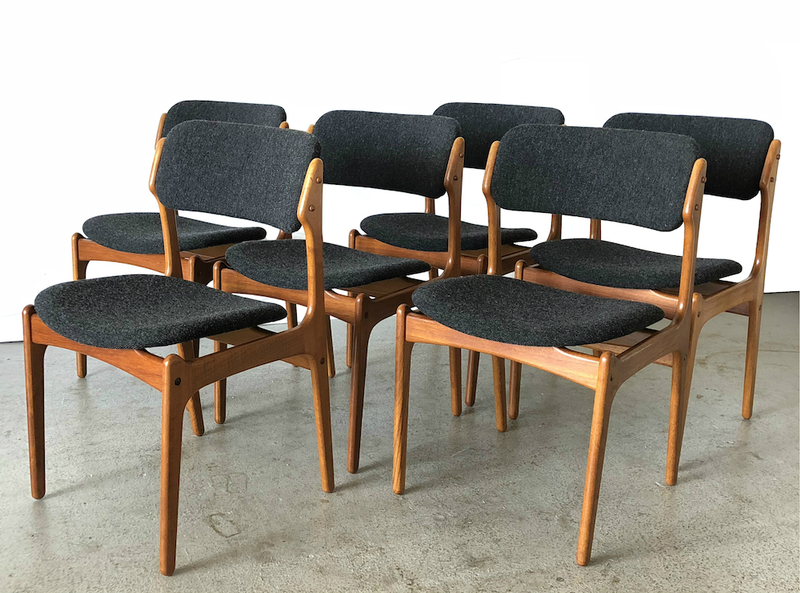 This entry was posted in Danish chairs, mid-century modern and tagged Danish dining chairs, Danish Modern dining chairs, Danish teak chairs, Erik Buch chair, Hallingdal chairs, teak dining chairs. Bookmark the permalink.